Home → 3ds-max → Scripts → Give me back my dialogs! Fixed issue with monitor data, now centers correctly on all screens. Oh Alright, I added Slate Material Editor Support. It's a bit sketchy, it doesnt seem possible to return a Window handle for SME so you have to set it via the MXS interface. The resize is not currently working with the Datagrid, but the Reset to [0,0] works fine, which is probably what most people need. I have also fixed a bug - the Base64 function built the icons wrong, the close button should be on the far right. If you delete the icons from the Scripts/lonerobot/assets/icons folder then they will re-build correctly at runtime. The script has now been updated to remove the dependencies on the ribbon control icons. These have now been integrated into a Base64 encoded string, and builds them automatically when the script is first run. This should remove any icon errors you are seeing (in Max 2012 for example) Window box is a script (and tutorial) to show you how you can use Dotnet and Win32 methods to get back dialogs you have lost from using multiple monitors. Submitted by damard on Mon, 2019-02-25 10:11. 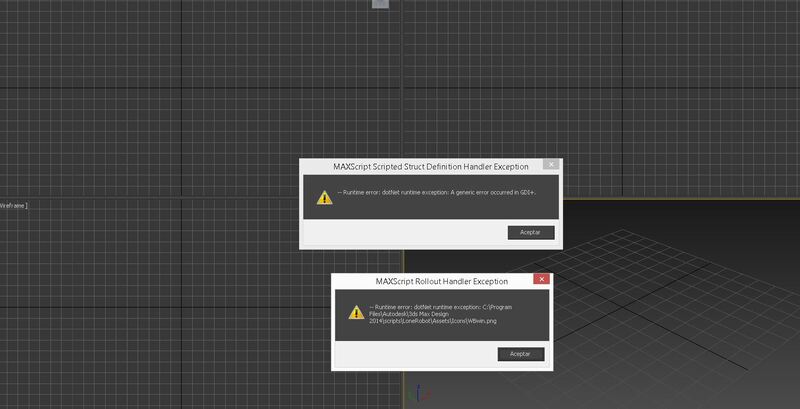 Make sure you run 3dsMax as administrator when first running the script, as it will create Folders/Files in the #scripts folder. Submitted by tasurnin on Wed, 2018-06-06 07:19. I just finished a script that save all the positions of my "popup dialogs" so each time I restart max the dialogs go back to their positions. I also use WindowOps.WindowPosition to get their position but because my windows taskbar is on the left side of my screen. There is an offset between the position I get through WindowOps.WindowPosition and getDialogPos(). Hiding the taskbar when I saved the position could be the solution, but it's really slow with hiddenDosCommand. Do you have any idea how to fix my issue? Submitted by tomy3d on Tue, 2017-04-25 15:10. Submitted by dimwalker on Fri, 2016-06-03 06:54.
where can I find icons? Script can't find png files. I'll try to create placeholders for now, but feel like I'm missing something - script doesn't install any files, but tries to reach it. Submitted by LoneRobot on Thu, 2014-10-30 13:06. If you can't see your window, how do you know if it is active? This script makes finding any dialog tied to max easy. If you can't see the application of the script, then you've obviously not had this issue. Submitted by Podmentor on Mon, 2014-06-30 03:41. Submitted by Phokka on Wed, 2014-03-05 11:22. Submitted by Anubis on Wed, 2012-11-14 12:32. Submitted by LoneRobot on Wed, 2012-11-14 10:29. Submitted by LoneRobot on Wed, 2012-06-27 14:37.